Until recently J.C. Penny was the anchor store at the south end of Bellevue Square. J.C. Penny vacated that 200,000 SF space in November and within days demolition began for six specialty shops scheduled to open later this year. According to Kemper Development Company, these shops will represent national and local brands. What is unique about this renovation is the plan for an urban grocery store. A grocery store in an urban shopping mall isn’t a new idea. If you’re a long time Bellevue resident you might remember there was an A&P grocery in the original Bellevue Square shopping mall. The store will be ä unique kind of urban grocery store” according to Kemper Freeman. There are already three downtown grocery stores – Safeway is just south of Bellevue Square, a large QFC is across the street to the north and H Mart recently opened on 108th – the new grocer has not yet been named but is expected to be announced soon. All are within walking distance for the nearly 50,000 people who work downtown daily and the 12,500+ residents living in the city. With continued commercial and residential development increasing the number of people living and working in the central business district, growing demand will likely support another grocery, especially if it offers a unique, boutique-tupe experience and one-of-a-kind or hard-to-find items. 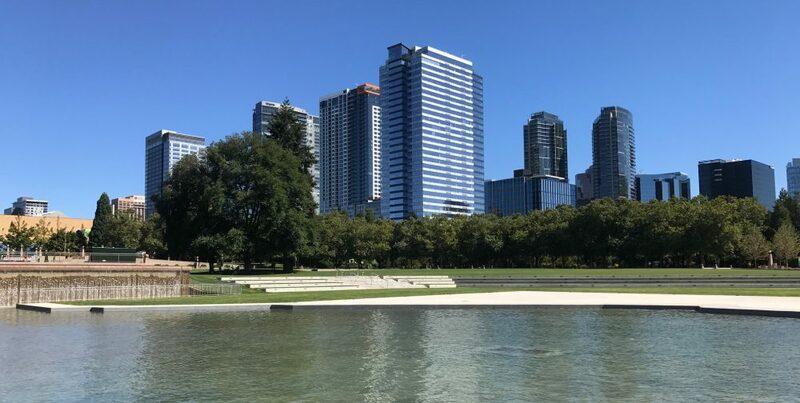 With the many annual events and event venues downtown and continued growth, there will be more demand for opportunities to pick up a prepared gourmet dinner-to-go, picnic lunch in the park or everyday shopping before leaving work and heading home. Who would you like to see as the new urban grocer? Whole Foods and Metropolitan Market are both popular, recognized local brands and could be a good fit for a new city location. Zupan’s Markets, a Portland grocer, was rumored many years ago to be considering space at Washington Square. Stay tuned. This entry was posted in Condominiums, DOWNTOWN BELLEVUE by Robin Myers. Bookmark the permalink.